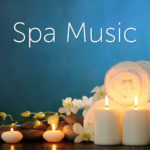 TMSOFT has just released our newest album, Spa Music, which is a compilation of seven relaxing songs. Each track has a soothing background of white noise to put you in a comfortable and relaxed state that is perfect for sleep, meditation or just relaxation. From sounds of the forest to crashing waves, every song from Spa Music was inspired by and written to the calming sonic landscape it accompanies. Spa Music is available to stream for free on all of your favorite platforms including Apple Music and Spotify. Watch the entire album on YouTube or Amazon Prime Video which combines great audio with beautiful footage for each track. If you have a favorite track you find yourself putting on repeat, you’re in luck. We have perfectly looped one hour-long visualizations of each song on YouTube too. Spa Music is also available for purchase on all digital music stores including Amazon Music, Google Music, iTunes and Rhapsody. This entry was posted in White Noise and tagged amazon video, google music, iTunes, music, Spotify, video, youtube. Bookmark the permalink.